Naples Cay is a gated, luxury beachfront community situated on thirty-three acres, developed from 1978 through 2002. Located just north of Gulf Shore Blvd and south of Pelican Bay, Naples Cay occupies its own peninsula and features 850 feet of white sand beach on the gulf and frontage on Clam Bay. 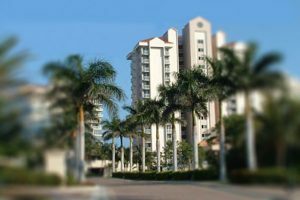 Naples Cay is comprised of six luxury tower condominiums, one luxury mid-rise condominium and 11 detached villas. Units range in size from 1000 to over 11,000 sq.ft. of living space. Pet and rental restrictions are in place for each condominium property. 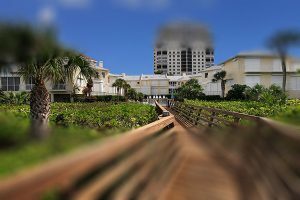 Though when compared to other Naples luxury communities, the rental policies at Naples Cay are less restrictive and allow occupants with weekly rentals. This makes Naples Cay especially attractive to investors. Amenities at Naples Cay are what one would expect for a luxury beachfront community. In addition to direct beach access, there are lighted tennis courts, pools, spas/hot tubs, BBQ and picnic areas and a club house. And of course, fitness center with sauna, billiards room and guest suites. The Village on Venetian Bay is within walking distance. 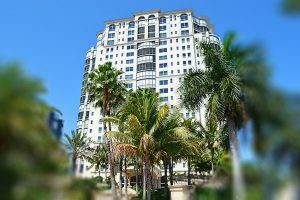 Baypointe at Naples Cay is a luxury tower condominium built in 1996 at 60 Seagate Dr with 92 residences on 18 floors. The residences range in size from 2100 to 2400 sq.ft. and are configured as two and three bathrooms with two and a half bathrooms. There are two private penthouse units and Baypointe features views of Clam Pass, Pelican Bay and Naples. Amenities at Baypointe include a private dock with community canoes and kayaks, two guest suites, one guest apartment, elevated community pool with spa, dry and steam saunas, fitness center, library and a promenade deck featuring a porte-cochere with a grand 2-story foyer. There is a limit of two pets, not to exceed 70 lbs. Rentals are allowed 4 times per year with a 90 day minimum. Beach House At Naples Cay is a luxury tower condominium built in 1990 at 20 Seagate Dr, comprised of 33 residences on 11 floors. The units live like single family homes boasting 2460 sq.ft. configured as two or three bedrooms with two and a half bathrooms. Units in Beach House at Naples Cay features wrap-around terraces with beautiful views of Clam Pass and the gulf. Pets are allowed with approval but there are size and weight limits. Units may be leased 3 times per year with a 90 day minimum. Sea House at Naples Cay is a 6-story, luxury beachfront condominium, offering just 6 residences at 100 Seagate Drive. Built in 1978, the homes are configured as three bedrooms/den/three bathrooms boasting 3340 sq.ft. of living space. Luxury upgrades include direct gulf views through a complete wall of windows on the west side, a lanai and volume ceilings. Open and spacious floor plans ensure the units live like single family homes without the maintenance. Due to the limited number of units, residences rarely come on the market. Amenities include a beachfront pool, storage, picnic and BBQ area. Pets are allowed with size and weight limits based on approval. Units may be leased 3 times per year with a 30 day minimum. There are quarterly condo and HOA fees. 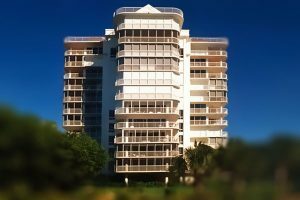 Seapoint at Naples Cay is a luxury, beachfront condo tower built in 1991 at 10 Seagate Drive, comprised of 28 residences on 14 floors. With only two residences per floor, the residences boast living areas of 4950 to 5350 sq.ft. and are configured as 3 bedrooms/4 bathrooms with an additional family room. They also feature terraces that are just over 1000sq.ft. with views of the gulf and Clam Pass. Units are rarely available for sale in this building. Pet restrictions: one pet with a weight limit of 50 lbs or two pets under 30 lbs. Units may be leased once per year with a 180 day minimum. 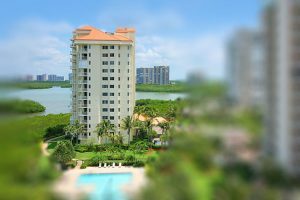 Seasons at Naples Cay is a luxury tower condominium of 22 floors and 43 residences, built in 2002 at 81 Seagate Drive. Residences are configured as 3 bedrooms/den/4 baths to 4 bedrooms/den/6.5 baths and boasts between 4740 to 11,698 sq.ft. of living space. In addition to phenomenal views of the gulf, the homes feature private elevators, gourmet kitchens with custom cabinetry, wraparound terraces and other luxury touches. Seasons at Naples Cay amenities include a 40,000 sq.ft. pool area with hot tub and private cabanas, billiards room, community room, business center, fitness center, guest suite, sauna, and the other common Naples Cay facilities. Pet restrictions: one pet not to exceed 30 lbs. Units may be leased once per year with a 90 day minimum. 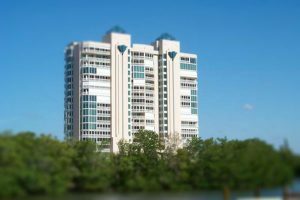 Club At Naples Cay is a luxury tower condominium built in 1990 at 40 Seagate Dr, featuring fifty residences on fourteen floors. Residences are configured as two or three bathrooms plus den and two bathrooms and feature from 1305 to 1445 sq.ft. of living space. Pet restrictions: one pet (w/ approval) with a weight limit of 25 lbs. Generous rental policies allow units to be leased 52 times per year with a 7 day minimum. Villas Raphael at Naples Cay is a complex of 11 luxury villas built in 1997 at 80 Seagate Dr, offering direct beach access. Each villa has three floors and range in size from 3400 to 4200 sq.ft., configured as 3 bedrooms/den or 4 bedrooms with either 3.5 or 4 bathrooms. The units feature ground floor private entry, en-suite guest rooms with full baths, balconies, private patios a 2-car garage. Amenities include a Grecian community pool/spa, bike and jogging path and beach access. Pets are allowed with size and weight limits based on approval. units may be leased 2 times a year with a 90 day minimum. 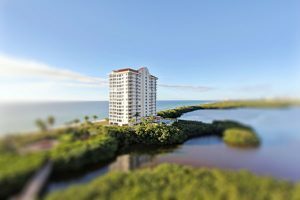 Westshore At Naples Cay is a beachfront, luxury tower condominium built in 1998 at 50 Seagate Dr on fourteen floors with fifty residences. The residences range in size from 1305 to 2100 sq.ft. configured as two or three bedrooms plus den and two bathrooms. 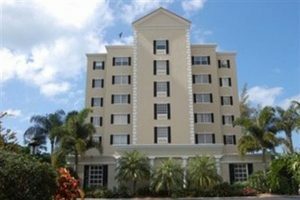 Westshore at Naples Cay has very generous rental policies than the other buildings in the community. Units may be leased 52 times per year with a 7 day minimum. There are restrictions on the size and weight of pets. For additional Naples Cay information, please complete the form below! I or one of my team members will respond to you within one business day. I bring 16 years experience in Naples Florida residential real estate to each and every one of my clients as their EXCLUSIVE AGENT for Naples real estate. For discrete and professional real estate transactions, please call me to schedule a private viewing of any one of these Naples listings.